A famous Gujarati Snack is steamed cake made of gram flour and green peas. Green peas Dhokla is a healthy and greeny version of very popular traditional gujarati Dhokla. Its quite different from regular khaman dhokla with added green peas to give a unique flavor and taste. Dhokla - very light, tasty and healthy. A perfect steam food for healthy choice of evening snack. Make it more delicious and healthy with added nutrients using fresh methi/spinach leaves. A best way to make kids attract. Here's a delicious, tempting recipe that can be made within no time and can be served as nutritious snack to your kids or your guests. Bottle Gourd cooked in Indian style with Chana Dal and spices. Dudhi Chana Dal curry is a common curry prepared regularly in almost all Indian household. A combination of dudhi and chana dal makes a healthy curry which provides required protein and nutrition. Serve it with Roti or Rice and make your complete meal. Here goes the recipe of Dudhi Chana Dal Curry. Kebab made of mashed peas and potato with spinach. A Burger packed and filled with healthy Mediterranean flavored Fallafel Patty and Hummus. Fallafel with Hummus is a very popular street food in Middle East Countries and it is a national food of Israel. Hummus is a Sauce/Dip accompanied with fallafel. They usually serve them in a pita bread to make a sandwich but here I tried to make a burger using fallafel. It is a healthy burger that's filling too. These are great for anyone who craves a big bite but doesn't want the calories. Shahi Tukda / Tukra is a very exotic and popular dish of mogul cuisine. Shahi means "Royal" and tukda mean "Pieces" together gives a literal meaning in english as "Royal Pieces". The bread pieces are fried crisp in ghee and soaked in thick rich flavored sweet milk sauce called as rabri. The traditional recipe also includes khoya but I didn't prefer to use. This sauce is same as rasmalai sauce and thus popular in North India too. So I decided to name it as "Kesariya Shahi Rabri Toast ". A delicious and healthy chickpea curry cooked with fenugreek leaves and Indian spices. Chana Masala is a very famous curry in all over India. It is also a all time favourite dish in my home too. But this time I had a bunch of fenugreek leaves in my fridge and was about to get spoiled. So I thought to add them in chana masala gravy. Seriously, it added a extra unique taste and flavor to chana masala. Try this recipe of Methi chana masala and give a make over to traditional chana masala recipe. Recently I fell in love with mexican cuisine apart from cooking with Indian, Italian and Thai foods. I use to try mexican dishes once in every couple of week. Don't know what makes me more additive to this cuisine? I tried burritos, wraps, quesadilla, tacos. Expecting my day to try enchiladas. The delectable combination of eggplant and tomato makes this dish very flavorable. An excellent koora / curry from Andhra cuisines. They even call it as pachadi. Andhra people use to prepare different variety of pachadi for their everyday lunch menu. This is one such easy and tasty pachadi. The smoked eggplant is combined with tarty tomatoes with hint of ginger garlic paste. 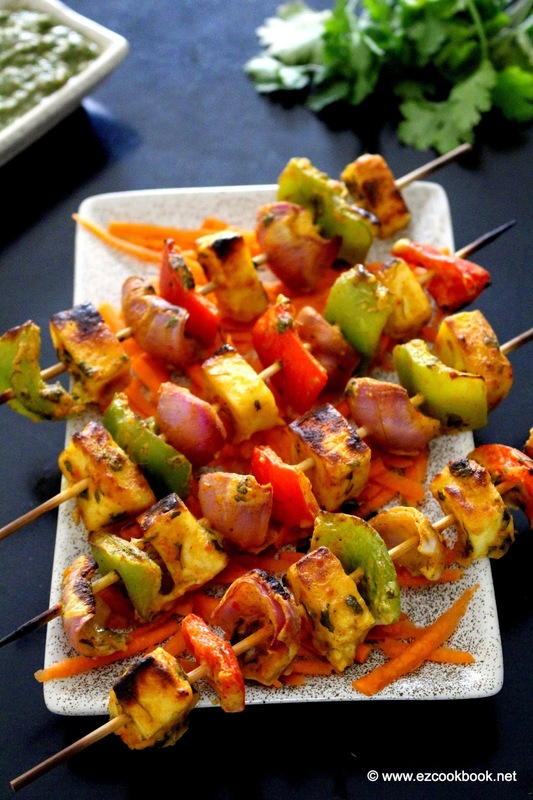 Soft and smoky chunks of paneer and vegetables which is marinated in tandoori masala and grilled while serving!! 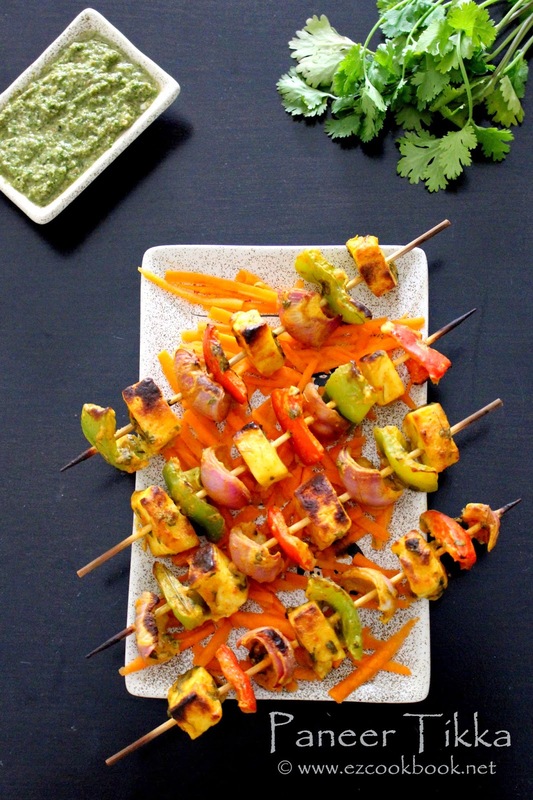 Paneer tikka a most popular and must have starter for Indian food lovers. It can be combined and used in almost any kind of food i.e. stufffing in wraps, toppings in pizzas, add them in gravy for delicious gravy, stuffing in dosas or samosas or anything you can think of. Hence it's favorite in every ones food list. Here goes the recipe to make dry PANEER TIKKA. Rice has been a staple diet in most part of asia for many decades. 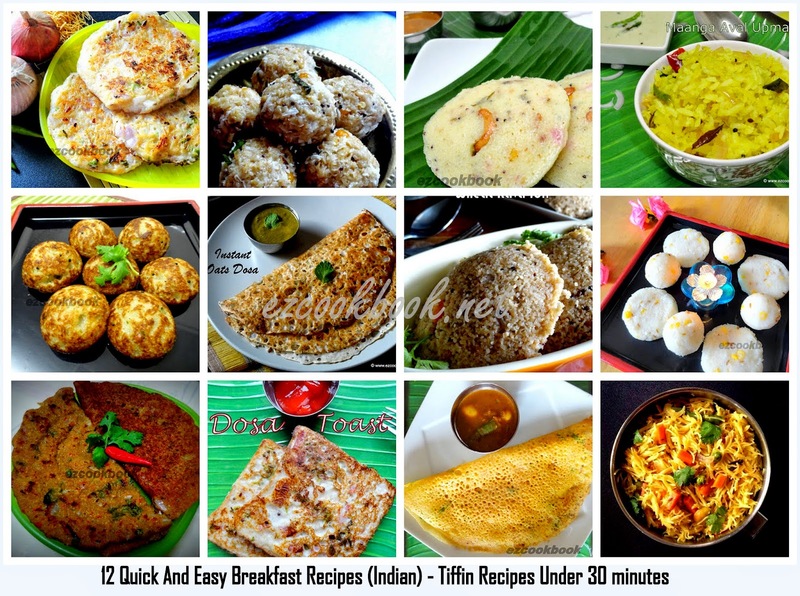 The love for rice has made people to regenerate many varieties out of it with added condiments and flavors. The porridge which I made is based from watered rice - cooked rice is soaked in water for 8-10 hours. The resulted mixture will be so soft and starchy in consistency. It is then tempered to best consume.